Your boxing stance and foot placement determine the effectiveness of your offense, defense, and footwork. Learn the proper boxing stance; what it is and more importantly, what it does. What Is The Perfect Boxing Stance? This is such a tricky question since there’s so many stances out there and yet many of them will work pretty well in different ways. 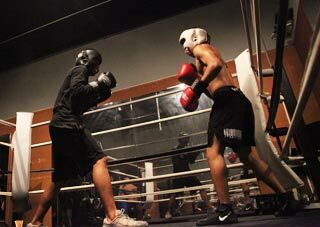 The idea behind the “perfect” boxing stance is there is no one particular stance but rather it is one that maximizes your strengths in the ring the while minimizes your weaknesses as much as possible. The perfect stance will be one that is suited to your style, your skills, and your abilities and it may not be the same one as your favorite boxer. What will a good boxing stance do for you? The proper boxing stance will give you solid power in each hand but still allow you to efficiently defend yourself if you get counter-punched. The proper boxing stance gives you good reach with both hands without making you reach to land your punches or vulnerable to getting pushed off balance. The correct boxing stance will allow you to throw a wider variety of punches without leaving you too exposed. Lastly, the right boxing stance for you will allow you to stand firm on your ground but still have the ability to move away if needed. Again, the perfect stance is balanced– it gives you strengths without exposing you. Your foot placement is probably the most important aspect of your boxing stance. Where you place your feet on the ground determines your advantages and disadvantages in offense, defense, and mobility. Because everything starts from the ground, it is crucial that you learn proper foot positioning before any other aspects (hand placement) of boxing stance. The first thing any boxer should learn when it comes to basic stance is the toe-heel line. Simply place your feet at shoulder-width distance from each other (or maybe a few inches wider) and place them along the toe-heel alignment line. Below I show some (crude) illustrations of different ways of placing your feet along the toe-heel alignment line and how their placement impacts your boxing ability. The toe-heel alignment will serve as a great guide for any beginner boxer wanting to learn how to place their feet correctly. 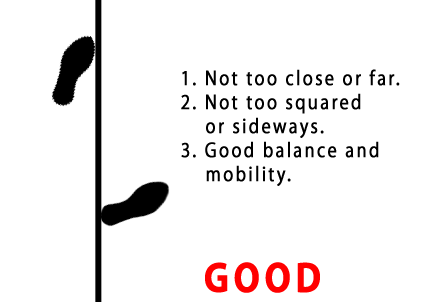 Good foot placement allows you to have solid balance without sacrificing in mobility. You have good power and reach with both hands while still positioning your body at an angle that makes it easier to defend. This stance makes it easy for you to be aggressive and chase your opponent down with big hooks from either hand. Your body is facing too much forward so your right hand will not pivot very much giving you less power on right and left crosses. Your body will be heavily exposed making it easy for your opponent to land everything he throws. 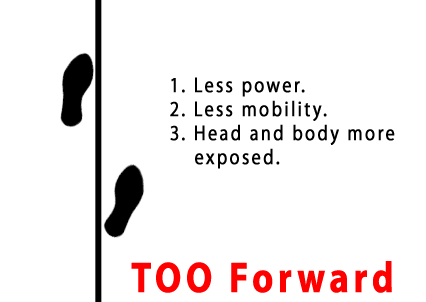 You will also have a hard time moving backwards and easily lose your balance if you opponent pushes forward into you. This stance has the same problems as being too forward. Your stance is still too squared making it easy for your opponent to land straight punches up the middle. It can be hard to defend or counter against his punches if he throws up and down at your head and body. 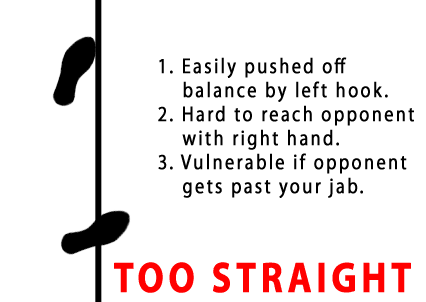 You are still vulnerable to falling backwards and your jab has less reach. This stance is commonly used by boxers with backgrounds in martial arts. The first problem is that the strong hand, the right cross, is too far making it hard to reach your opponent with a 1-2 combination. The next problem is that you will fall off balance every time he throws a left hook; you will fall off balance to the left even if you block it. This stance is also vulnerable to your opponent squaring up and getting behind your jab. If he gets his right foot outside your front foot, he will be able to hit you with both hands whereas your jab is too close to do any damage and your right hand is too far to rotate all the way over to land. You be constantly turning into his punches or forced to run away (which is the only advantage of this stance). This stance looks good except only people don’t realize that it’s too wide – which means bad balance & low mobility. 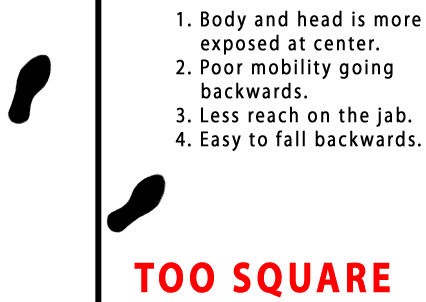 Many boxers believe that widening their stance gives them more balance but it’s actually wrong. A lowered stance gives you better balance, not a wider stance. A wider stance can make you even more vulnerable to getting pushed off balance. This stance also has a problem of being too wide for the right hand to reach the opponent. Worst of all, the wide stance gives you poor mobility. Because your feet are already stretched out, they will not be able to take big steps when you want to move. Most people with wide stances end up having to jump every time they want to move because their feet are anchored to the ground. This burns energy and makes it hard to keep your feet on the ground, which in turn reduces your punching power. Back foot heel is always slightly lifted off the ground. Being on the ball of your back foot gives you more mobility. Front foot heel can be planted on the ground but try to keep more weight towards the front of the foot. Your feet are spread about shoulder-width or a few inches wider. Your knees will always be bent. This gives your more power, more balance, and more mobility. Your hips will always be relaxed and heavy which gives you even more balance and more power. Boxers that tighten up their upper body will usually carry their hips which makes them fall off balance easily and also burns energy faster. Your weight is distributed about 50/50 between the front leg and the back leg. If anything, you can distribute it 55/45 giving the back leg a little more weight. The common mistake is to put too much weight on the front foot which makes it hard for you to step away quickly and also takes power off your right cross. Shoulders and arms should be relaxed. Elbows are down and in, hands are up, chin is down. Your shoulders should only slightly turned towards your opponent. They shouldn’t be squared so much that your stomach is open. Your front arm should be covering most of your body. Your rear hand should be at cheek or eyebrow level held at a diagonal angle to your chin. 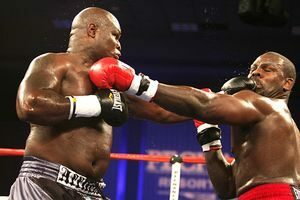 Your rear hand is responsible for protecting the straight left jabs as well as the left hooks that come from the side. Your left hand will be held in the air about 1 foot in front of your chin. The left hand is high enough to cover your chin but low enough to allow you to see over it. It’s close to your chin for defense against right crosses to your head but it’s also held out so that your jab can come out faster giving your opponent less time to defend or counter against it. All the different stances of boxing generally utilize the same boxing stance principles mentioned above. The only difference is that they will vary in hand positioning, foot placement, and angle of the body. Where you place your hands is determined by your offensive and defensive needs throughout the fight. Your foot placement determines how you should position the rest of your body. For example: if you’re using foot positioning that doesn’t allow for much mobility, you probably shouldn’t pair that up with a hand positioning that offers low defense. Likewise, if you want to use offensive hand positioning for chasing down your opponent, you probably don’t want to use a foot placement that won’t let you move forward very well. Ultimately, the perfect boxing stance is the one that fits your style and your situation. Want to learn more about boxing stances? Perfect Boxing Stance Width – learn how to set your feet at the right width apart. How Do You Do The Shoulder Roll? what an exelent and professional boxing answer for balance!!! i workout alot and shadow box for 2 hours a day. Nice bro, I shadowbox a lot as well actually. I rarely ever use a heavy bag. A couple of good pointers are to make sure that your form and technique whilst shadowboxing is good, personally I have some really light weights that I use when shadowboxing (they’re only 1 kg), but it really helps to improve speed and muscle endurance. The one thing is that you have to make each punch as fast as possible even though it’s a lot heavier and harder. Make sure you get in your roadwork as well, because it will make your body feel lighter and easier to move, you’ll also last a lot longer. One thing I do during roadwork is jog for a bit, do some quick shadowboxing (only about 20 seconds), sprint for a bit (make sure you’re sprinting at top speed for a long time), shadowbox and alternate. The sprinting really helps to improve my dash speed, which for someone like me who’s mainly an in-fighter is really important. If you really want to box that badly, I strongly suggest you sit down and have a chat with your parents. You will need their consent and support. Boxing is the toughest, loneliest sport known to man, little fella, and it’s not for the faint hearted. You remind me a bit of myself when I was 12 and wanted to box so badly I could taste it. It took about a week to nag dad into teaching me, and then it took him months to get mum on board. You need both parents on board, dude. Excellent article as always. I’m looking forward to the next article about the strengths/weaknesses of boxing stances. helps me 2 get a good work out.. The back foot is about 45 degrees… gives you equal access to pivot forward for a cross, or away for a hook. The front foot is at 30 degrees to give you good mobility in all directions. Actually..now that I think about it. I put my front foot around 40-45… and the back one about 55-60. The images do make the foot more forward then they should be! *** NOW FIXED *** Thanks for letting me know! Should be both of my knees are bent or the front knee only to distribute the weight to the front. Both knees always bent. They NEVER straighten except for when you’re trying to walk around the ring. What are the advantages of the low guard stance from the peek-a-boo style. The cross-arm defense or crab defense is a form of the peek a boo defense that was used successfully by most notably Archie Moore, Ken Norton, Joe Frazier, and George Foreman in his second career. Wrong. Peek-a-Boo isn’t a big energy-consuming factor. You lose too little energy that’s ridiculously profitable in contrast what kinds of benefits Peek-a-Boo can bring you such as unpredicability, mobility, muscle relaxation and it throws sand into the eyes of the opponent. That’s very benefitial.Mike Tyson is one of the practioners of Peek-a-Boo. He never failed with its usage because he always made sure to knock out his opponents before he employed this tactic to his strategy and his strategy went successful. It really depends on how you’re looking at it. In what type of situations, are you comparing the peek-a-boo against other styles? – is it a defensive or offensive situation? – is it a long range or close range situation? – is this a brawling fight or a tactical affair? Now if both are busy throwing punches, then it may seem more even. If the fight is a high-speed tactical affair, then it favors the hands-down style so both can be really relaxed and fire with potshots. It really depends. Generally speaking, the guy with his hands up will use more energy…this is especially true if he has long skinny arms compared to a guy with short thick arms (these don’t put as much leverage on the shoulders). I recently joined a boxing gym in my area, and my coach taught me a stance that has the lead foot pointing inwards at around 45 degrees (he emphasized keeping the heel down so the foot’s flat on the ground), and the back foot pointing directly forward (on the ball of the foot). At such a narrow angle, my knees feel like they’re pointing towards each other and I find it difficult to keep them at this position without constantly putting some force in my entire legs. What do you think about this stance? I want to trust my coach 100%, but I’ve never seen this stance anywhere else. I actually prefer the knees pointing more inwards than outwards. Too many guys bend their legs with their knees pointing out and I feel it’s wrong. When you point your knees out, it’s like you’re bleeding out your core energy and not really holding yourself together. You’re also exposing your balls. When your knees are pointing more inwards than outwards, your balls are more protected and your legs bend without spending more energy. The energy is going inwards where it’s protecting you and supporting you at your center instead of bleeding out. A great example of a pro who likes to bring his knees inwards is Bernard Hopkins. 45 degree on the front foot makes sense cuz it gives you good mobility. If you point your front foot too much forward, when you try to walk forward your front foot heel will strike the ground first (which is very bad habit) and will slow down your quickness of footwork. The back foot should always be on the ball of the foot with the heel lifted off the ground, but not TOO much. the back foot can point in whatever way is comfortable. Doesn’t have to be perfectly straight forward. Despite all this explanation, your form might still have other problems that you didn’t mention. Let me know if this helps. Thanks for the thoughtful reply. It was quite informative! I actually change my stance a little at the gym today, and my coach didn’t mind. I thought having my rear foot angling just a bit less inwards would make things more comfortable. I think I have the foot-grounding down, though. Thanks again! I see videos of Floyd Patterson and Mike Tyson and i see there hands is at chin level and other videos is the hand is on the cheek bone level where really should be the hands be? For a peek-a-boo stance and even most other basic boxing stances, the gloves are held up high enough to cover the chin but just low enough for the eyes to see over them. When you’re under attack, the hands will come up to your forehead and split down the middle a little for you to see through. these are very helpful tips for a beginner which i am but i pratice alot. I’ve shared this post so many times. This is easily one of the best footwork posts that I have ever seen. You have truly brought in some breakdowns that are simply incredible. I’ve been reading a lot of the posts on boxing at http://www.sherdog.net and some good posts http://www.couch2cage.com but your breakdowns as far as boxing is concerned are best I’ve seen! Please keep up the good work. You’re the man! @Steve – thank you so much for sharing. I appreciate the love and support. I just wanted to know has everybody tried fast feet from title and how effective is it ? I’m so glad I found your site. I have a feeling I’ll be reading “cover to cover.” Since I’m a better student than athlete, your articles help me understand in a way that’s too overwhelming when I actually have the gloves on. Thanks a million! Thank you, Lisa. That’s my goal, to make that real difference! I’ve been having such a hard time figuring out how to properly set up my stance for months and nobody has been able to help me like this did. Thank you so much for this! Hi, I just want to start off by saying I love the site! So I’m pretty new to the boxing gym and I went ahead and got a personal trainer so I can get the form and the proper technique to become somewhat a better fighter… I’m no boxer, but I’ve had plenty of street fights throughout my life and have been accostomed to fighting in a peek a boo style type of form… so now this trainer is having me use a more traditional form which just feels awkward.. Im a pretty heavy handed guy at 5’9ish around 170lbs… Im more of a power puncher than a jabber… So what should I do? @JR – I suggest you pit yourself in against a trained amateur boxer and you can see right then and there if your street-fighting skills transfer into the ring. In my opinion, most guys that use the peek a book style get totally picked apart in amateur competition. It’s a tough style for amateur boxing. The traditional form feels awkward to everyone regardless of their physical size. And it will definitely feel awkward to you if you have inadvertently trained yourself to fight in another stance. If I were you, I would listen to your trainer. But if you think you know best, then just keep standing however you want. As long as you’re beating other trained boxers, nobody can tell you you’re wrong. Let me know how it goes… I think Miguel Cotto has a great stance for a short guy. He’s also a heavy handed puncher. You can also try watching Joshua Clottey or Arthur Abraham if you want to see a peek-a-boo style. Is it true that you need keep your shoulders over your knees,otherwise your off balance and you’re going to sap your power? I’m guessing that the shoulders being over the knees is the same thing as keeping your legs shoulder-width apart. Hey Adale, you are correct…try to keep your head (and shoulders) above your knees. Keeping the legs shoulder width apart is for another reason. 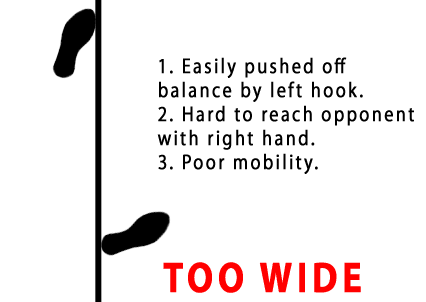 Too wide or too low affects your balance, speed, power, etc. I actually have a guide coming up for beginners about getting the perfect foot width. Please come out with that guide quickly. I do Muay Thai but find the boxing stance more beneficial for my style of mainly punching and keeping mobile(fighting like an out-boxer). But since I’m surrounded by a MT environment my feet tend to naturally square up a bit. @Adale – the guide is ready. I just need to take pictures. Hang on for a bit longer! 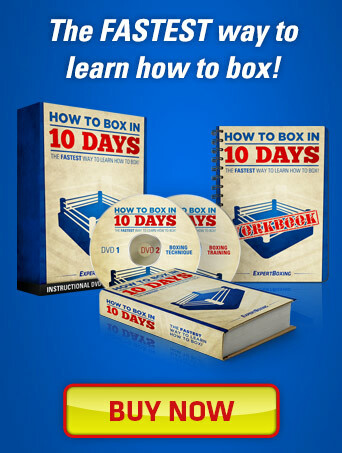 Great site, I recently picked up boxing with a background in traditional martial arts and kickboxing. I’m used to standing in your recommended stance from sparring in martial arts, but the boxing trainers at my gym recommend the lead foot with toes pointing at 12 o’clock and the rear foot with toes pointing at 3 o’clock – this feels a bit awkward and wide to me (as your feet are basically making a 90 degree angle), but our gym has a couple world champs so I assumed boxing had a wider stance than kickboxing. What are your thoughts? @Shane C – 12 and 3 seems awfully wide. I have seen some guys move that way though. They moved very much like Lyoto Machida, very skiddish around the ring and then a quick bounce before the counter. Some other guys like the wide 12 and 3 stance because it gives their front foot a lot of room to pivot for a big left hook, and the back foot a lot of room to pivot for a big right cross. Personally, I like a tighter stance…kinda like a Bernard Hopkins stance where he looks pidgeon-toed at times. Just wondering if there are any tips on keeping my back foot heel lifted off the ground. Hey Darren, just keep both knees bent. And practice dragging your feet around the room. When you move, make sure both feet touch the ground. Practice moving like that and stay conscious of that back foot. It also helps not to turn the back foot too sideways, it should be pointing 45 degrees. You’ll get the hang of it. Cheers mate i’ll practice practice practice. I have been learning boxing for about 4 months now.i m having problem with countinous punching during fight I have a taekwondo background so i tend to unconciously bring my right foot exactly behind my left foot at 90 degrees. My trainer said that my weight should be slightly more on front foot which is always on lifted at heel.I m 70 kg 5ft 8inch height. Also speed is not exactly my thing .what would be a correct stance for me and also how can i learn to move freely while punching. .
Another thing how can we deliver a pseverly painful blow to abdomen or diaphragm when a powerful opponent is swinging his arms wildly at very high speed to hit your face. Please take some time and answer in detail to everything as it is very cruicial to me. i find it hard to do this basic stance i dunno why maybe cuz i have flat feet? and what can u tell me about being a boxer with flat feet ? My feet are almost flat and this stance is fine for me. If it’s uncomfortable for you, then you’ll have to try something else that still allows you good balance and reach with both hands. i used to fight with a T stance (my front foot is the upper line ..) and its comfy and i didn`t feel like losing balance or anything but i dunno my coach told me that it`s not good ..thanx anyways. I find the site very interesting and think you are real experts. I started train boxing in Germany where I grow up. I train now since one year, we have 2 trainers and two different styles and times. The one guy teaches us standing in long range one foot to another and in both foots weight. The other one is German and he teaches to stand very compact, both foots near to another shoulders down bit like quasimodo buckle and weight at the left food, in both the foots showing much straighter than typical cause of diagonal movement boxing which is the concept of them I think. My question I see that if I have the front knee one level before locked,its still bend, jab and straight right are more explosive and more fast, but I am a little bit confused, should I change my stance for each one or only the range of both foots? Can I combine in a fight after a time if I learn the style of Axel Schulz which is similar of what show to us the one who teaches compact and very close stance to the other who teaches long range and flexibel combination like russian tall boxers fight? This guy who teaches the “russian” style is a trainer from old Sovjetunion. Thank you! I like the russian style better but it’s a good idea to learn both styles and see how they work differently. Yeah I see this so, the russian style is very flexible and have much conters and much movement, the other style is very compact like a panzer, not so good to conter they say they train that cause the new pointing system where only clear punches give points. Say pushing punches extra. My question I cant find so right the right stance for my front food sometimes its comfortable if the knee is normal bended and sometimes a level before closed, I am not sure my legs are much bigger than my hipps I have some moments the optimal standing but I forget than again. Whats better for me? Thank you for your time its a pleasure to read on your site, many things I see in training or sparring that are like this ,here its a change to study the sweet science for beginners like me. Place yourself in a punching position with your back hand extended. Now place your feet in a way that makes that position comfortable. Then go back to your neutral stance. This trick ensures that you will be able to assume the punching position comfortably. It’s only an idea and you should be aware that your stance should give you offensive and defensive flexibility. Aside from the trick above, I recommend that you follow the guides to a tee. They are best suited for the human body. The only exception would be if you have differently built joints. Ok thanks, I have done and see that from the beginning which are both foots together I must only take the right back and let the front foot like it is only a bit more in inside, like some heavyweights which it looks like that the front foot is like in walking position but except this the knee bended, all in all more weight in front food, long distance position it goes like 55% 45% front-back weight, and “panzer” position 65%-35%, many time before I give more weight to back foot, for the russian it wasnt a problem he show me some cool moves with all weight in back foot, but for the other style it wasnt acceptable. Thanks again and keep it on! Maybe some of the concepts can be adapted but I don’t know for sure because kicking and grappling would alter the way you stand and fight. i dont fully agree with this technique because you said in an article that the further your feet are the harder it is to move around, but of course (which i learned from you) it may be used for strategic purposes right? Great explanation, and the pictures are a big help. Much appreciated. My advice to any new boxer, is to study the basic stance from several sources, and watch a few videos on it and watch a few succesfull boxers. As you are watching and reading, attempt to imitate the stance. From the basic stance, slightly adjust to make it more comfortable for you to punch, move, dodge, be balanced, (the attributes author gives cover it perfectly). Adjust without straying to far from the basic stance. Sparring is a great way to find what feels right, and you may find that you alternate between several variations of stances in seconds depending on circumstance ( ex. dodging/blocking then counterpuch, attack and then defense then neutral). In my opinion the most important things that make up ‘comfortable’ are balance, and easy, fluid, non-awkward, movement, punching, and slipping/dodging. The stance and then footwork are the most important things in boxing, so don’t be afraid to spend a month or more simply aquiring those two. Once they are mastered, and made a habit, the rest is fairly easy. The saying build a poor foundation and eventually your building will collapse, and you will need to begin over again fits the scenario nicely. Learn the punches, etc from a good base, or you will need to re-learn them from your corrected stance. Of course you will need to find the right stance by punching, moving, defending, and sparring, to find what is comfortable for you, and effective ‘in the ring’. An important thing to do is build good habits. Once bad habits which decrease balance, speed, power, etc are learned, they are more difficult to unlearn and replace with good technique. It is like learning to do an exercise (ex. pushup, squats), you need to do it properly to gain the full advantage. If you get in the habit of doing it improperly, you will build your muscle unevenly and have to put in more effort to get the same results as doing it properly. The importance of a proper stance cannot be stressed enough, nor can good footwork. The most important part of footwork is not crossing your legs. If you get caught with your feet together, you will most likely trip over yourself and fall down. With proper footwork, you will always be a split second away from being able to attack and defend, even while moving. Good site Johnny, the graphics/pictures you put with your articles do a good job of conveying thoughts and information with few words. I have been sparring for about a year now, and found the most effective technique to be a combination of your drowning method /southpaw stance / hands low / back foot over 90 degrees. Watching footage of some great defensive fighters (calzaghe, zou shiming, willie pep, etc), they all seem to adopt the same back foot angle, very successfully. The exagerated back foot angle allows me to come in and out very quickly. Would be great to hear your thoughts? Do boxers from Mexico take a different stance from American boxers? Yes and no. There are differences but mainly it has to do with brawling vs boxing. You will stand differently depending on the way you like to fight. It has more to do with your style than your nationality. How straight/arched should your back be? Straight, BUT RELAXED. And this is only possible if you’re upright and well balanced. Otherwise, being straight will take a lot of energy and being relaxed will be impossible. Hey johnny good stuff on the site! But I have a question! I notice when most boxers fight they lean forward in their stance(weight 60/40l, while in other arts they stand almost straight up (weight 50/50) while in stance (think lyoto machida) the idea behind it is to put more distance in between your opponents attacks and your head (actually almost or more than a foot in distance)and then use footwork as your 1st line of defense(as your are more mobile with balanced weight) THEN head movement etc…this forces an opponent to over commit and reach allowing you to counter … Do you think I can use this technique in boxing?or is there I strategical reason why most boxer lean forward ? Another thing I know there is boxing unique footwork techniques BUT there are some AWESOME footwork techniques from other arts that could have great application in boxing! You think I should try them? Basically in a nutshell boxing is an incredible art but do you think I should mix in some other techniques from other arts? Or just keep it bare bones? – Your weight can be 50/50 or 60/40 depending on what you’re trying to do. – The feet should not be the first line of defense because then it always takes you out of range (unless of course you’re trying to run away). 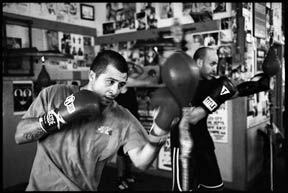 – I only use boxing footwork because it’s most applicable to boxing. Other methods might work and you should experiment to see for yourself. – I use only boxing techniques which have a wide variety and range between all the different possibilities in boxing. I wouldn’t recommend for you to add in other stuff until you master the basic boxing stuff first. aren’t the stances you show bad because you are vulnerable to take downs and kicks etc…? This is a boxing website. Can you make a video of correct shadow boxing technique. Such as how many steps to take before punching. A sequenced shadow box routine of steps you take etc? There is no routine, move around and work on different things. You’ll notice everyone shadowboxes differently. Check out my Youtube channel for more helpful boxing videos. I have some on shadowboxing on there. Hey Johnny, how can you tell if your stance is too wide or too short? Also how can you tell if you’re putting too much weight on one leg? Read my guide on the Perfect Boxing Stance Width. How wide are we assuming the tape in the diagram to be? Not much. Maybe an inch. The width of the tape is to illustrate a line, not a distance. Good question, Ryan. Sometimes the details do make a difference. For a big guy (tall or stocky), it will feel better to have a 1-2inch gap and maybe even more. For a small guy, even a 1inch adjustment can feel like a big difference. The difference is how sideways you want to stand. In some fights, you want to be more sideways and rely only on the jab and distance style of fighting. In other fights, you want to square up, cut off the ring, and bombard your opponent with both hands. Find your most neutral point and then adjust slightly from there. And then of course, yes, everyone is different. Some people have wider shoulders or wider hips and therefore they need a wider gap, otherwise, they might feel too sideways. I feel like the wider 3-4 inch gap is widely used in gyms now due to MMA. Most people seem to prefer a more open stance (the wider stance seems to force you to point your lead foot almost straight at the opponent as opposed to a slight curve), perhaps because they are allowed to throw kicks? But it seems to me an open stance would be more susceptible to takedowns. I started out in TKD so a more narrow, sideways stance has always felt comfortable to me although I am on the tall and lanky side at 6’0″ 170 lbs. Either way, what you are saying is anything less than one inch is no good, but anything more than that depends on the style and physique am I correct? Thank you for creating this site. I have been working very hard to learn the right technique ect.. in boxing. This really helps bridge the gap between my classes. I really have fallen in love with it, it’s like learning a dance! A lovely sport, thanks again for helping me to make the most out of it. New things will always take time to feel comfortable with but the more you can do, the more options you will have in a fight. Hi johnny its Edward id like to ask if the sharp pain in the ankles, knees and even occasionally the hips i get while training especially while throwing punches could be because of something to do with my stance? Am i too wide maybe? What do you think might be the cause im open to any suggestion. It’s probably because you’re pivoting your hips (past a comfortable point) without pivoting your feet which could lead to a painful twist of the knees and ankles…OUCH! I’m from an amateur kickboxing and mixed modern background, Age 41, might be doing white collar boxing. Tried boxing a few times, orthodox stance, left jab, kept getting countered by right hooks that I never saw while sparring with proper boxers. This was 20 years ago. Any tips for my footwork? When my partners approaching all the time and I want to counter and move round to the right my feet feel heavy and I’m slow, sore left heel and right knee. I don’t think I’m pivoting very well How do you fight him off and put him on the backfoot or at least stop his advance? Fitting on the backfoot gets quite tiring and I can’t kick to back him off, big overhand or straight punches? Any advice for me greatly appreciated. I’m going to try and bend my knees more as I’m guilty of having straight legs or definitely one straight leg. Having a good jab and right hand really helps. There is not reason why he should be able to keep coming forward if you’re catching him with a hard right hand. As for pivoting…smaller is better…and pivoting small isn’t very hard. It helps to keep the pace slow if you’re still developing at first. And thats only possible when you stay in Center And then from there you have the options to do And Anything if its sliping bouncing and easily Throw powerful hooks deadly rights because you are 50/50 you can Shift easily in back And front! Thanks, Angelo! I really appreciate the help. I hope you tell your friends about http://www.expertboxing.de. I’m developing that site right now and hoping to add more translations. I currently only have one volunteer translator but we do what we can. Thanks for stopping by. Exactly…do what your coach says. this stance feels akward to me, is it supposed feel this way until i get used to it? please i really need to know! Where’s the awkward part? Maybe you’re doing something wrong? So the stance thing really helps. I came from more of a muay thai background (more square) and transitioned into a better boxing stance since I want to compete. Does my forward foot HAVE to always be straight (at opponent) or can it be at a slight angle to the left? Well, which foot is the forward one…your right or your left? Your front foot has to be able to point at your opponent so that your hip can rotate to face him for you to throw punches with maximum power in the angle towards him. If your front foot isn’t facing him enough (that the OUTSIDE of your front foot is facing him) you will feel like he’s always on your side and that you can’t reach him with the back hand. If your front foot is way too open (that the INSIDE of your front foot is facing him) then you are probably way too square and vulnerable to his punches…or even off balance. Hello. I’m starting out even though I’m older. My little kid is taking lessons also. Anyway the professional coaches at the Gym have us placing both our fists close up to the chin. With the left fist up against the chin, how does this protect the nose and face in a street defense situation without gloves? What are your thoughts. Thanks. Craig, I’m by no means an expert but the modern “Hands up” style of boxing has evolved due to the fact that boxers wear gloves and can use them to block punches. Without gloves on you will need to hold your hands out closer to your opponent so you can intercept punches before they reach you. If you look at photos of old time bare knuckle boxers such as John L Sullivan you will notice that they hold their hands down lower and much further out than modern boxers, this is so they can catch punches earlier. Obviously they had an advantage in that they could stop shots with their open hands which is not possible wearing gloves. To be honest, modern boxing won’t teach you this skill and you’d be better off learning something like Krav Maga alongside boxing if you’re concerned with street self defence. I figured it that way also, but I have real boxing coaches telling me otherwise. Thanks for the reply. 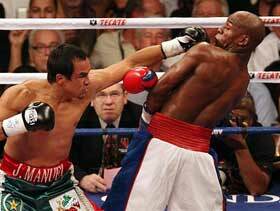 Modern boxing DOES teach you how to stick your hand out to intercept punches. It’s a common skill and just because not all boxing coaches teach it doesn’t mean it’s not taught. 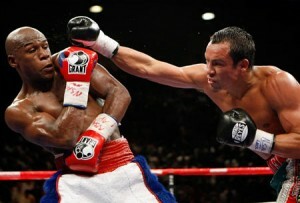 You can see the skill used often by Roy Jones, Floyd Mayweather, Andre Ward….even Pacquiao at times. Hi Johny 🙂 I really appreciate the demonstrations and the videos. You really have broken each part up so well. I have a question. I am a novice. When I try to hit a right cross, my front leg twists too with the motion. Is there a problem with my stance? Also keeping the weight in the balls of my feet, I feel like falling to my right side. Please help. I have a feeling your front foot is pointing maybe a tiny bit too much to the right. Or that you are leaning forward too much with the punch–try focusing on the twist more than the lean. Could you do a short write up regarding the different stances with their advantages, disadvantages, and differences? At my gym I was taught the forward stance, their reasoning was that putting your back foot at an angle locks the hips and therefore makes your reach of the right hand shorter. Is that true? Their logic is correct, yes! do you offer classes? where? directory of other gyms? I would say after 35 years experience working with individuals that no one stance is perfect for everybody. as coaches all we can do is give guidelines, but each individual will find there own sweet spot when it comes to balance. Boxxig is a way of life, train hard. I wish I had a trainer as detailed as you in my gym. Thanks for this deep thorough article i have learn many things from it.